My daughter is a big fan of Jacqueline Wilson and has read many of her more recent books. At Christmas she was given The 2015 Diary, a copy of Opal Plumstead and Christmas Cracker. 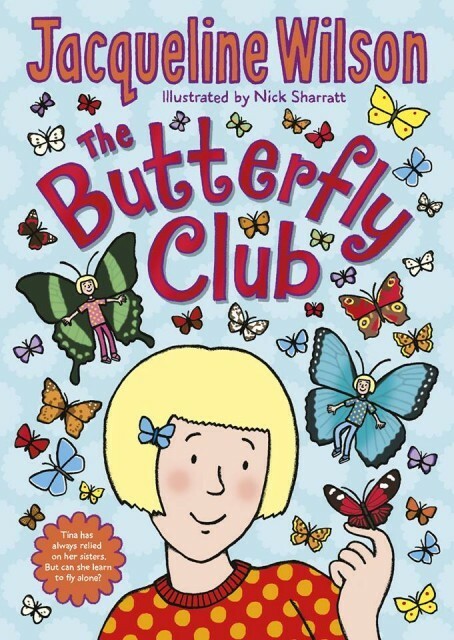 Earlier in the year she had read all the books in the Hetty Feather series, which she thoroughly enjoyed, so we were thrilled to be able to receive and review the newly released The Butterfly Club which is Jacqueline Wilson’s 101st novel. You can watch Jacqueline introducing the book here. The Butterfly Club is a unashamedly girly book. From title to subject matter it is all about girls, their relationships, fears, insecurities and the trials that go with growing up and maturing. It deals with 3 sisters who are triplets. We follow their story from their first day of Year 3 in school. The three girls have unique and different characters. 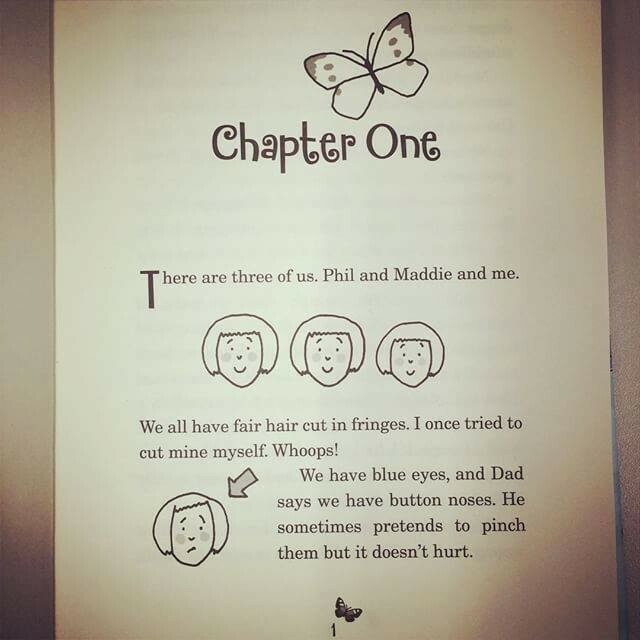 The strong, boisterous and tom-boyish Maddie; the calmer, sensible, bright Phil and the main character Tina, who is physically the smallest and has a history of poor health. Told in the first person,the reader experiences everything from Tina’s point of view. We feel her anxiety, her joy, her courage and experience her journey with her. The author cleverly gives us insights into all the girls characters through weaving it into the story. There are not long descriptive passages about the girls, but rather Tina’s assessment of her sisters gives the reader a clear understanding of each girl. At the start of the school year, they are placed in a class where the teacher, Miss Lovejoy, is unwilling to allow them to sit together as they have in previous school years. She insists that they be at separate tables. This is an arrangement that causes great anxiety amongst the sisters, especially for Tina as she has grown accustomed to her sisters taking the lead and ‘protecting’ her. Along with this change, Tina is seated next to a larger, tougher, girl called Selma, who has the reputation of class bully and who no one wants to befriend. Through the development of the story, we learn how a cleverly implemented plan by the teacher, helps the girls to find their own separate identities and form new friendships without solely relying on each other for support and companionship. It was thoroughly enjoyable reading about how Tina discovers herself, her talents, friendship and independence. The Butterfly and it’s life-cycle is a powerful metaphor for Tina’s life and is artfully and subtly linked to every part of Tina’s growth during the course of the book. As always, the illustrations provided by the fabulous Nick Sharrat are a wonderful comedic addition to the story and help the reader visualise the events more clearly. Sweet, heart-warming story about three lovely sisters with a definite theme of friendship. Tina and Selma build a strong bond whilst they’re building the Butterfly garden and that sticks to the end when they’re famous little stars. I understood how Tina felt suddenly being pushed into scary Miss Lovejoy’s class and her sisters aren’t there to look out for her. Butterfly Club is a good read with a satisfying ending. It is an easy read and is aimed at 7-9 aged readers. I rate this book 4 stars because I think there could be better descriptions. Otherwise another great book from Jacqueline Wilson. This book is perfectly aimed at girls aged 7 and over. It deals with universal issues that primary aged girls face and every girl will be able to identify with the various characters described in this book. Follow these links if you’d Watch the book Trailer or purchase the Amazon eBook . 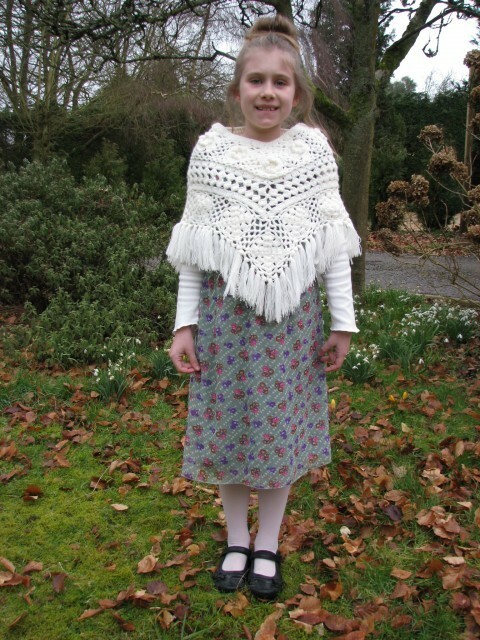 My daughter dressed as Hetty Feather for World Book Day 2014. Dame Jacqueline Wilson is a former Children’s Laureate and a multi award- winning, best-selling author who has recently been revealed as the most borrowed author from public libraries of the past decade. Over 35 million copies of her books have been sold in the UK alone and her books have been translated into 34 different languages.